The Rip’D Pearl is clearly the Goldilocks of the Rip’D family. The Hammer Rip’D Pearl one ups the others in the family in terms of bang for the buck. It’s the most usable and versatile in my opinion. That’s good value even for a top line ball. The Rip’D Pearl uses the Rip’D Core (Asymmetrical) inside the Aggresion Pearl CFI coverstock. We are familiar now with the RipD family of balls. These are heavy rolling cores with strong covers. On house shots, these balls are a bit lumbering. 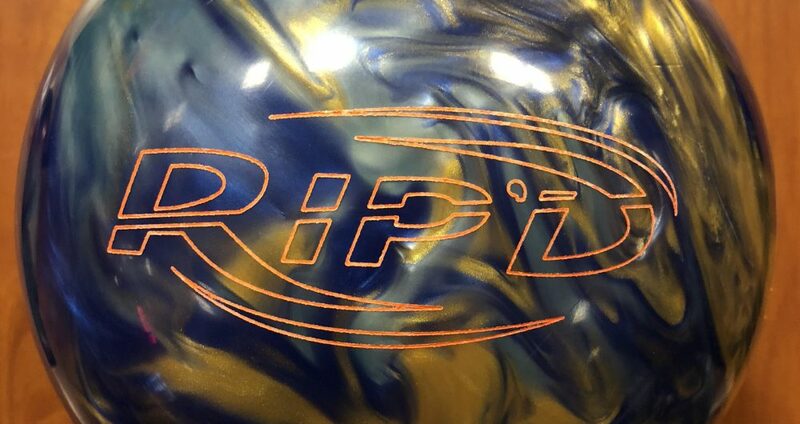 The RipD hybrid had this kind of dance where the core is turning over rapidly while the cover is giving it some length. So there was some midlane read at the expensive of big backend. With the Pearl, there’s not so much of a fight. The ball is still wanting to read but not as early as the Hybrid and nowhere near as early as the huge snow tire that is the Solid. The backend is definitely stronger on this one than the others. The core is still one that wants to stand up so you will not see skid/flip. I think it will help bowlers who can play more direct as the core rolls heavy and you don’t have to expend side to side energy. Despite the backend, I still had a better reaction keeping the breakpoint 7 or in and not getting this ball way out into the dry as the core starts up early and I wind up draining all the energy out of it by the time it gets to the pins. Keeping the breakpoint in also meant getting deeper as the ball does charge when it is able to retain the energy. James Kasee recently joined our testing staff. You can see he’s a step up in rev rate. For him, he seems to have more or less the same reaction. He also felt that the previous RipD balls were a lot for the typical house shot. It was clear from the first couple of balls the Pearl would be more usable without the fight as I said. He could play the ball between 3rd and 4th arrow. If you watch closely you’ll see what I meant about the ball reaction. When he could play it more direct, he took advantage of the heavy roll for excellent drive through the pins. He could still carry closer to the 4th arrow but got more of the lighter hit carry. Ultimately he felt this ball gave him some room and could see using the RipD pearl on house. Sean was next and usually he is totally happy with pearl asyms. It’s not difficult to see him be successful with this ball. However, his margin of error definitely seemed to shrink compared to James. I think that’s fundamentally because of the different in styles. James has around 19 degrees axis tilt while Sean has 7 or less. So the ball stands up harder for Sean which means less continuation or at least more sensitivity to release variations. Ultimately, similar to James, he found the best hardest hitting reaction being close to the 3rd arrow, really allowing the ball to explode through the pins. Finally Bryan is up and he had a decent look. 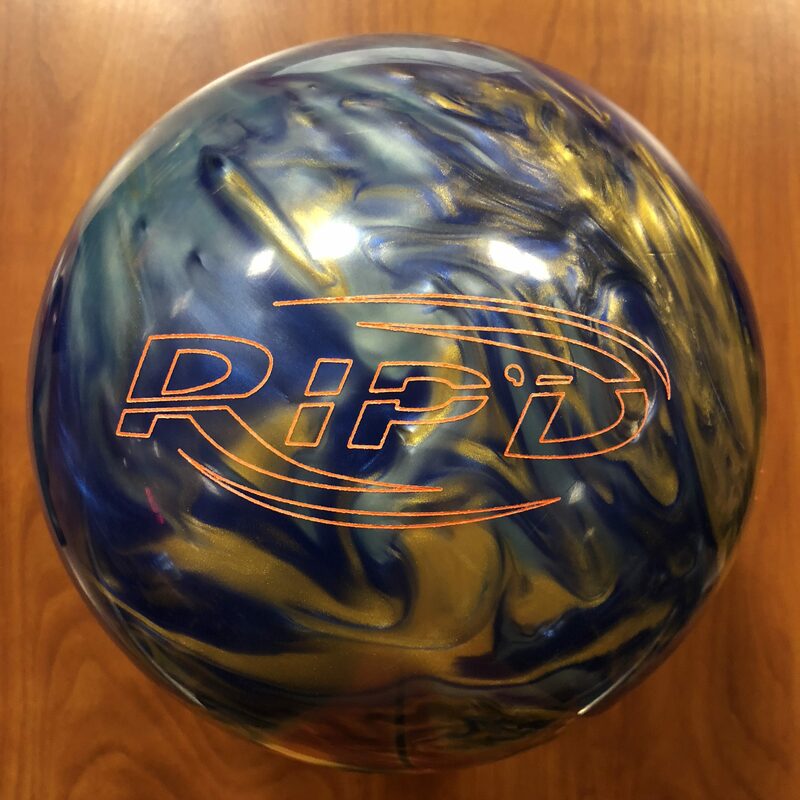 It seems like the ball matches up pretty well for higher tilt bowlers allowing it to get down lane easily and allowing the torque core to store more energy. Bryan found the pocket area easily with the RipD Pearl. The ball isn’t snappy but strong enough that Bryan can’t go very direct. And with that comes with some soft return towards pins. This is the case where Bryan would actually like a bit more surface to get the ball started a little earlier for a stronger charge. We tested on the 39ft PBA Don Carter pattern. This ball initially looks shinier than the OOB surface indicates but the reaction I saw on sport made it clear that the OOB finish is a decent match up. It’s not so skittish and has a smooth but strong transition. It really wasn’t difficult at all for me to use on this pattern. The RipD solid seemed to be a better match up with the earlier roll which went through the pins better. The Hybrid actually just seemed to take away something from both, surprisingly. Just too smooth to come back from the same breakpoint as the Pearl. James had a pretty straightforward look with the RipD Pearl. He gets going up the 4th arrow out to 8 and the ball charges back perfectly. Again, his look in this case was a bit better than mine and even more defined response to dry. On sport, Bryan had a better look. Now with the sharper backends, he could give the ball some belly and have it drive nicely. It’s all about matching up. In the end, the RipD pearl is going to be the most versatile of the RipD family, hands down. It still uses the same heavy rolling core. But having the cleaner cover really helps make this one very clearly store more energy, even when the final out of box surface is 3000. You could probably go even higher like 4000 or polish and get more backend but I personally would like to get it to laneshine on its own where it could be a great house shot ball if you’re matched up.